Today I posted my mortgage market update for the day and recommended to FLOAT because we had tested a key level of support at the 200 day moving average which we did bounce off. Just after 1pm, bonds did fall through that support and I changed my bias to a LOCK position, so I updated my blog to let people know . Most lenders did reprice their rate sheet for the worse so it was the prudent advice. The bond market did rally back however and close right above the 200 day moving average. So tomorrow we should see some better pricing and if the PCE on Friday is in check even better pricing. The chart above shows the Fannie Mae 5.5% coupon mortgage bond. Each "candlestick" represents one trading day. The green ones are days the close is above the open and the red are days the open is above the close. The shaded in area is the open and close and the lines above and below are the high and low. The circled candlestick on the right is today's, May 28th, 2008, trading day; as you can see the bonds dropped below the "S1" and "S2" (levels of support lines) during the day (that is when I recommend to lock) but then closed at the the bottom of the red shaded part, priced at 99.47 and the 200 day moving average is one tick below at 99.46. This is a positive indication technically for bonds but if we have negative economic news tomorrow that is inflationary we could easily drop below that. This is what we mortgage professionals watch on a daily basis. So make sure you do your shopping around and working with a professional that has access to this. The above Mortgage Market Update information was provided by Bryan Flynn of Westport Mortgage Corporation. Bryan can be reached at westportmortgage@gmail.com or by phone at 508.635.2780. 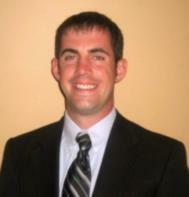 Bryan has worked in the Central Mass and Worcester area for the past 6 years as a mortgage loan officer.